Gary Wiren is a member of six Golf Halls of Fame, including the PGA Hall of Fame and the World Golf Teachers Hall of Fame, and has honorary memberships or distinguished-service recognition from Sweden, Italy, New Zealand and Japan. Wiren was a collegiate conference champion, won the South Florida Seniors PGA title, the South Florida long-driving championship, played in the USGA Senior Open and the PGA Senior Championship and has won the World Hickory Championship. 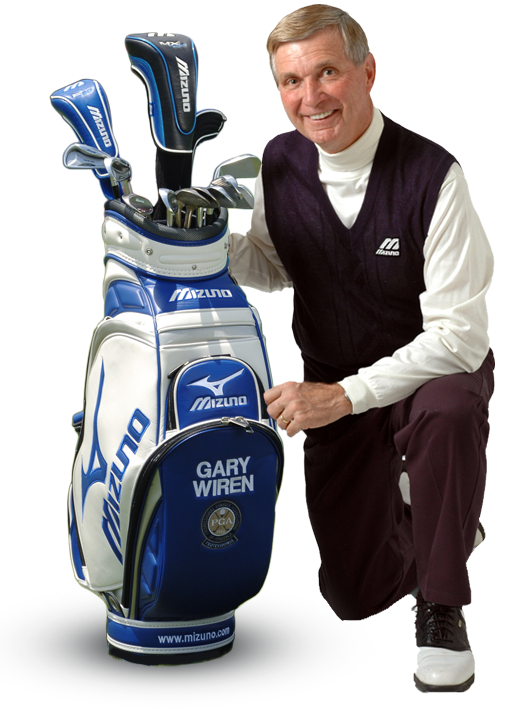 In 1987, Wiren was selected by the PGA of America as its “Teacher of the Year” in the USA and has consistently been picked by Golf Magazine as one of America’s 100 Best Teachers and by Golf Digest as Top 50. Keynote speaker at the First World Scientific Congress of Golf in St. Andrews, Scotland, in 1990, and twice more as a featured lecturer. Was the main presenter at World Teaching Summits in Canada, Australia, France, and Italy. He is sought after as a speaker for golf/motivation/entertainment talks to private club dinners, business meetings, and corporate groups for numerous years. The Gary Wiren Golf Collection is certainly one of the finest private collections in the world. One of the features of the collection is its variety, which includes the largest golf stamp collection in the world, balls, books, clubs, comics, postcards, first-day covers, tees, magazines, art, catalogs, sheet music, ball molds, advertising, art, silver, statuary, medals, and more! 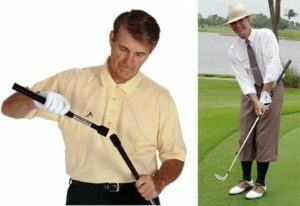 Fits on the end of your grip to give you absolute kinesthetic feedback if you flip the wrists through the ball. You’ll stop hitting skulled and fat shots after practicing with Chip and Pitch. 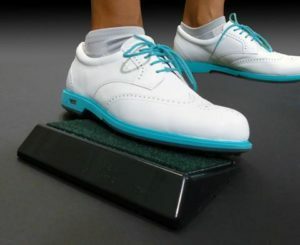 Helpful in reducing swaying and maintaining a steady swing center. Sets the body position perfectly under the back foot for a chip shot. Can also be used to stop the sway by moving it to the outside of the target foot. There is only one moment of truth: IMPACT, and only one device that can most easily teach it… THE IMPACT BAG. 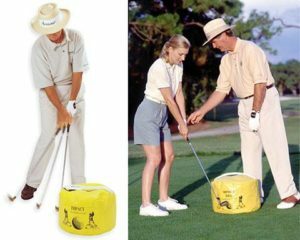 It is found on more ranges than any other training aid.